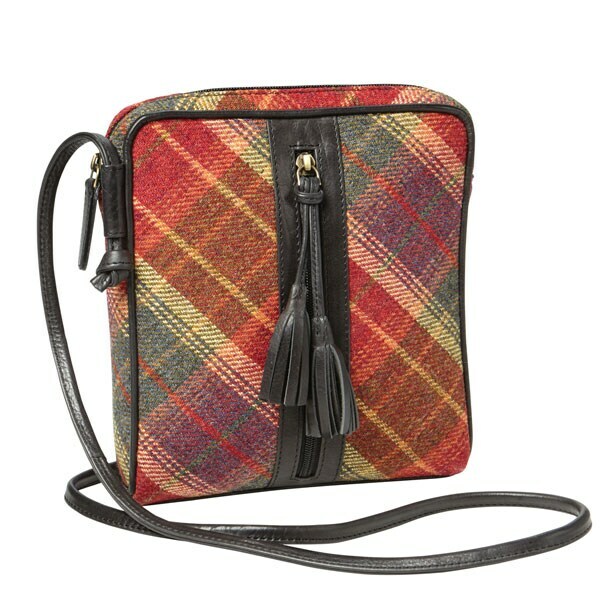 Made in Scotland, this classic bag is 100% wool, trimmed with leather, and fully lined. Thoughtful details include a front vertical zip pocket with leather tassels, back zip pocket with leather pull, and two inside pockets, one with a zipper. The strap may be shortened with a knot. 7 ½"w x 8 ½"h x 1 ½"d.